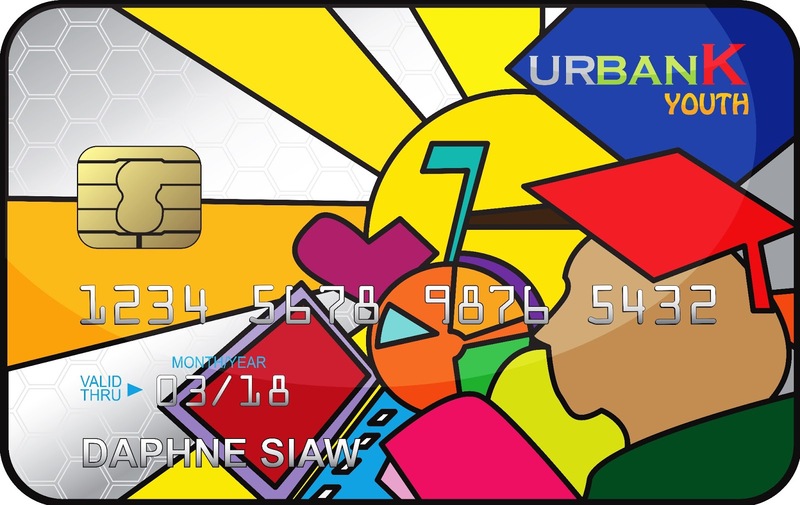 Hello again, here’s a second entry for the Nuffnang Credit Card Design Contest! This time’s design is more abstract and even more bright and colorful, to bring life to the card as as youths, we should be all bright, energetic and imaginative. The background of all the colors is a more serious shade of grey, symbolizing the realistic world ahead. Despite the dullnes of reality, as youths, we have the power to bring new inspiration to lighten and make the future a better, brighter place! The colorful shapes represent youths, and items that we need while we’re growing up, from bicycles and books, to laptops and all the things we need till we graduate from university and head towards our bright futures! The name of the card is UrbanKard from URBank! “It’s U,U,U, you are holding!